Opened in 1906, Rightsell Elementary underwent additional construction in 1930 and 1954. Renovations were made to the school in the mid-1980s. It is centrally located on more than two acres of land on the edge of Little Rock's historic Quapaw Quarter neighborhood. 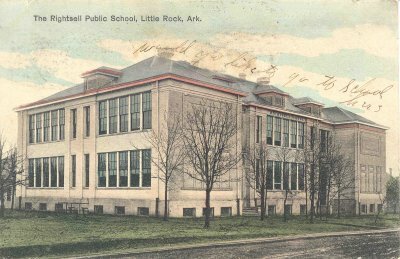 Photo: Postcard of Rightsell Elementary. Written by sender on front: "Would you like to go to school here?" Postmarked 1908. From LRSD archives. The school is named in honor of Jacob R. Rightsell who, for 33 years, served as the second superintendent of the Little Rock School District. 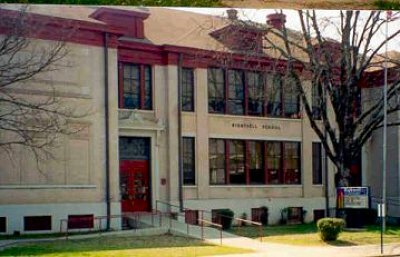 In the 2005-06 school year Rightsell's students and staff were relocated to Washington Magnet Elementary; Rightsell continued to operate as a separate school under Washington's roof. Rightsell closed permanently at the end of the 2005-06 school year; students were relocated to other schools. 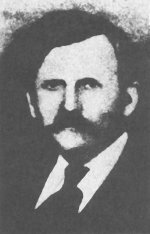 J.R. Rightsell, from Matoon, Illinois, came to Little Rock with N.P. Gates as Gates was selected to be the district's first superintendent. When Gates was chosen to organize the state's new "Industrial University with a Normal Department therein," Rightsell was made superintendent. Before becoming superintendent, Rightsell was assigned to the Peabody School, according to "Assignments for Fall Session, 1870," and later became principal of Sherman High School. In 1871 he became Little Rock's second Superintendent of Schools. He remained principal of the high school as well. Rightsell served as Superintendent from 1871 to 1880 and again from 1885 to 1905. He is buried in Mount Holly Cemetery in Little Rock.